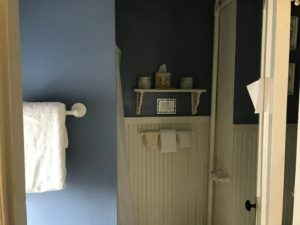 You will think that you went back to Grandmother's house when you step into this room. 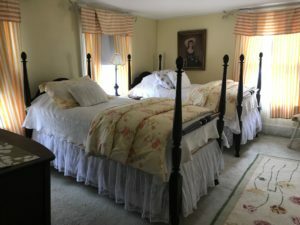 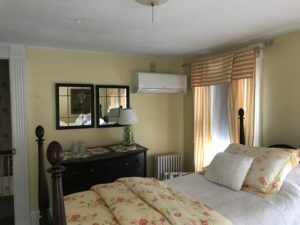 The antique four post beds are covered with red & yellow peonies comforters and are surrounded by butter colored walls. 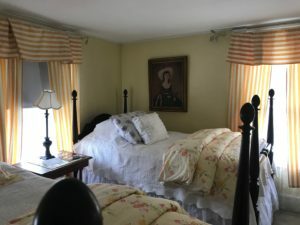 The portrait over head is of an ancient relative - you can pretend its one of yours if you'd like.